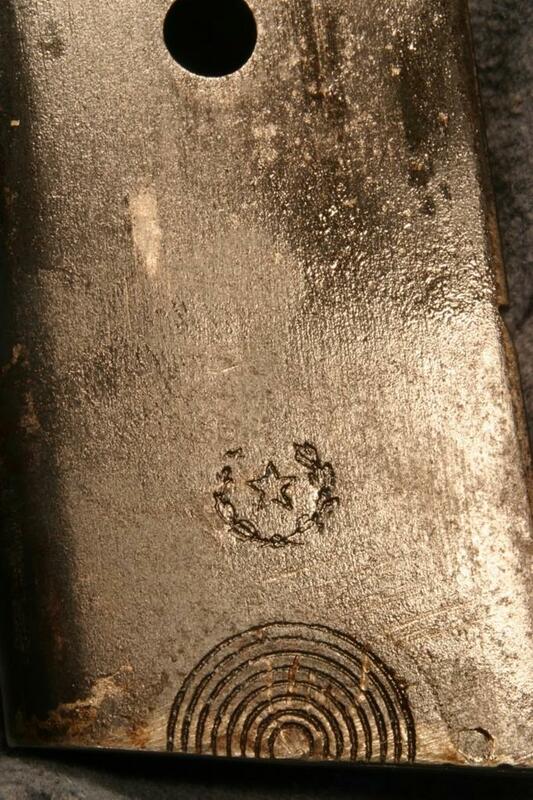 This pistol was designed by Don Venancio lopez de Caballos y Aquirre, the Count of Campo Giro. 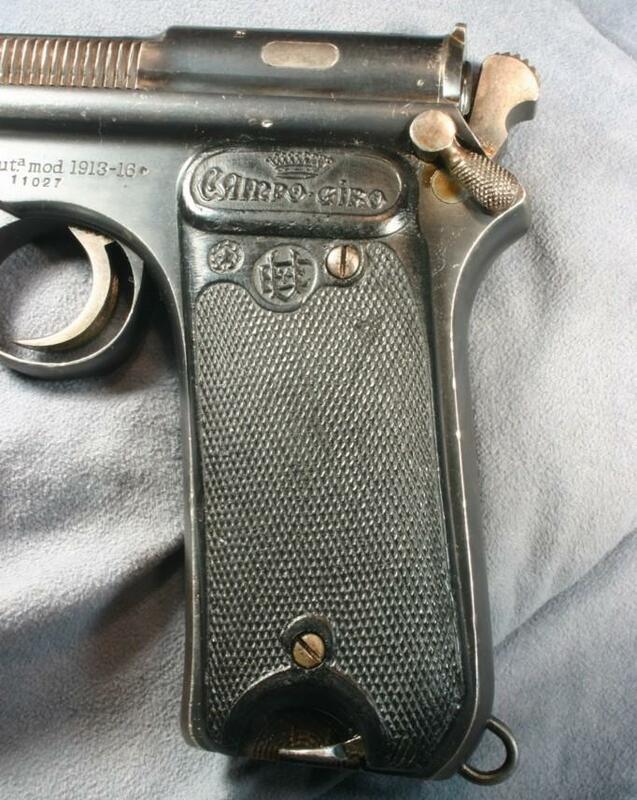 In 1913 it was chosen by the Spanish military to be their standard side arm and the design was modified slightly in 1916. 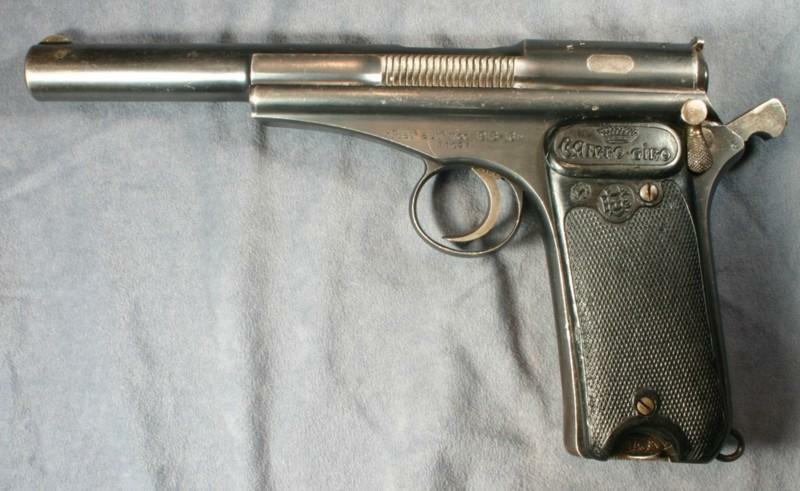 The pistol remained in production until about 1920. Total production was under 15,000. 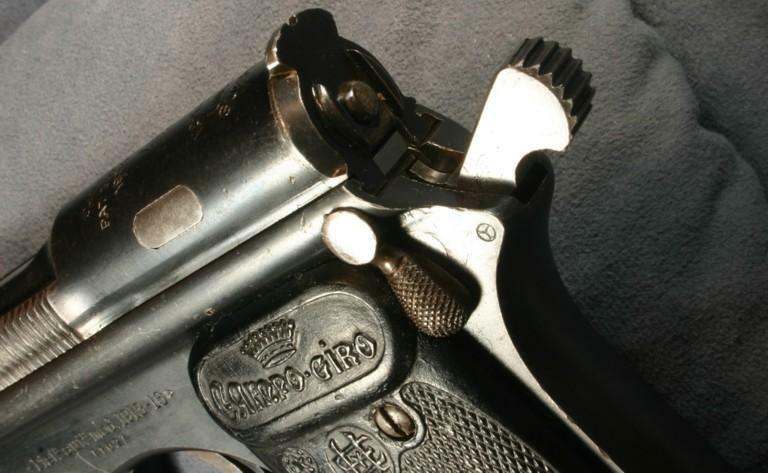 Prior to adopting the Campo Giro, Spain purchased approximately 3,000 Model 1908 Bergman Bayard pistols. 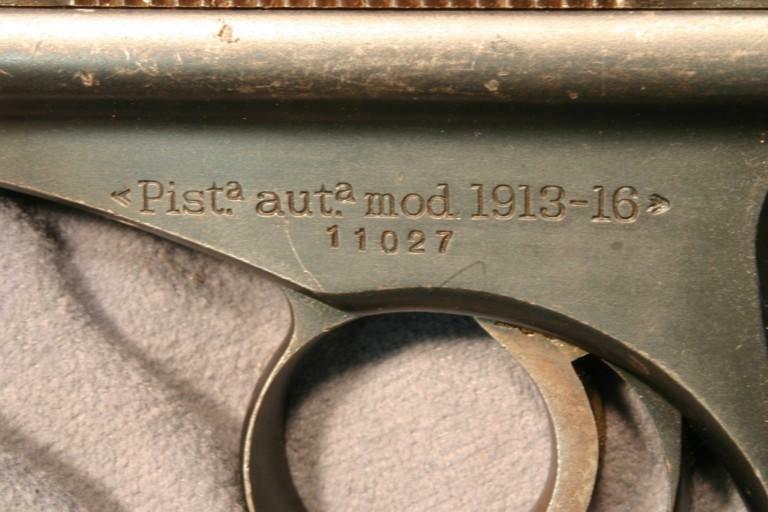 Like the contemporary Mauser Model 1896 pistols, the Bergman pistols had the magazine in front of the trigger and therefore a relatively short barrel. 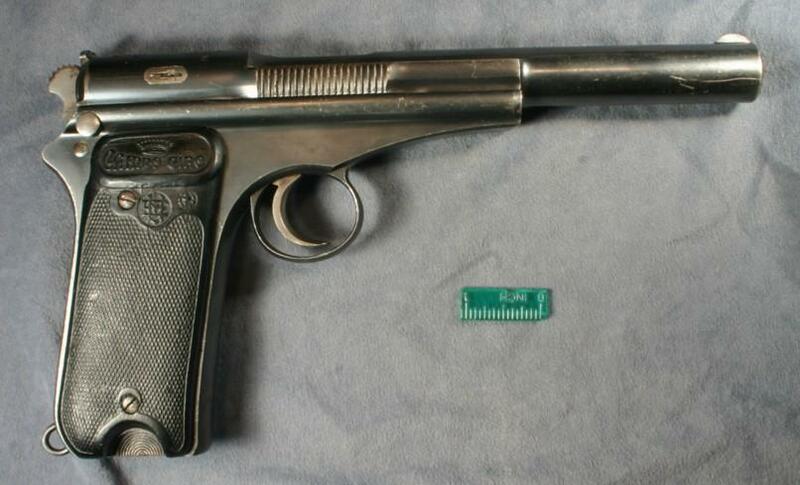 The Bergman pistol fired a powerful 9 mm cartridge with a locked breech design. 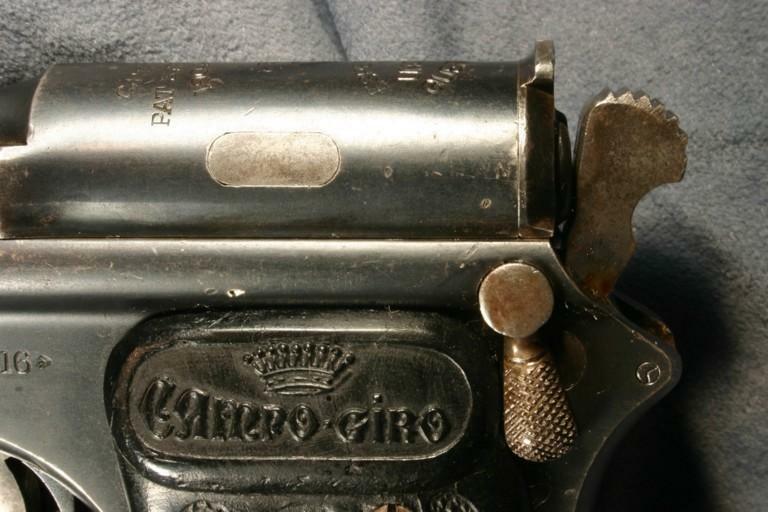 The 1913 Campo Giro utilized the same 9 mm cartridge, commonly known as 9 mm Largo, but more conventionally located the magazine in the grip and therefore had a much longer barrel and subsequently a greater muzzle velocity. 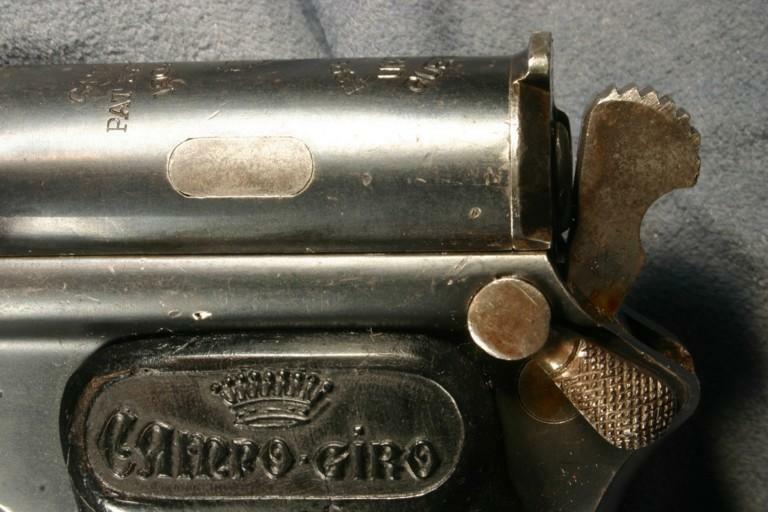 The Campo Giro however, does not fire from a locked breech but rather relies on a heavy return spring a recoil buffer to manage the strong 9 mm cartridge. 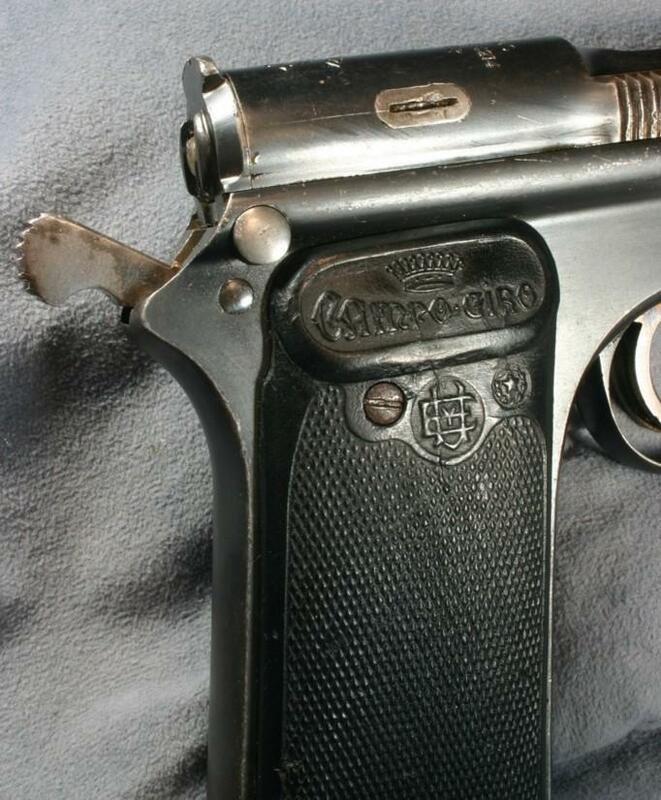 Spain had a large industrial capacity for firearms production centered in the Basque area of North Western Spain around the city of Eibar. 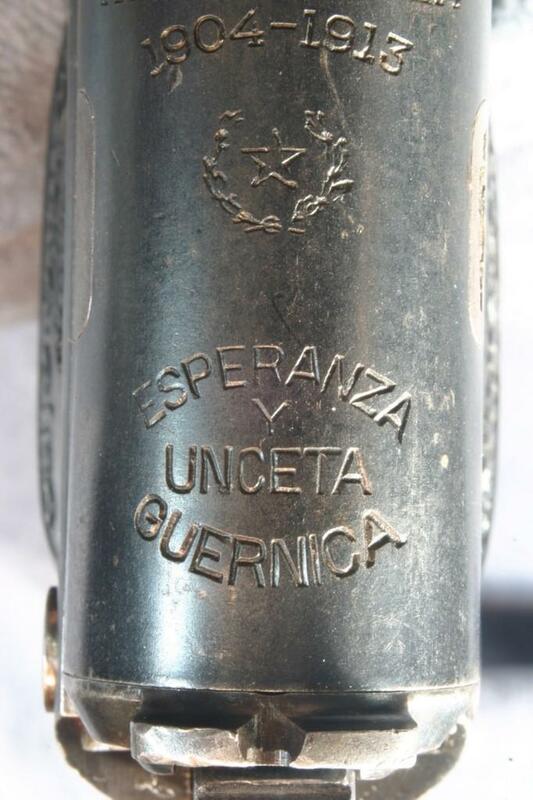 Production of the Campo Giro was contracted to Esperanza y Unceta, (Astra). 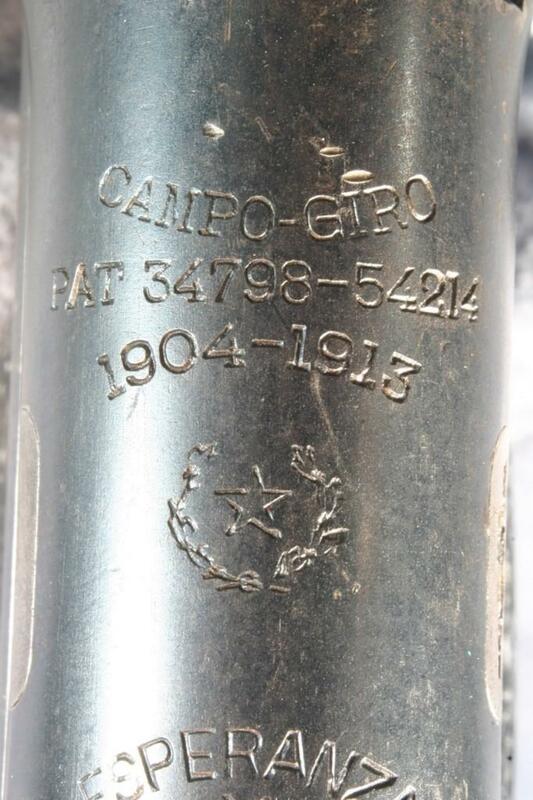 The subsequent Astra 400 (model 1921) was largely based on the Campo Giro and remained the standard Spanish side arm until the end of World War 2.